Lecture and panel discussion "End of life practices around the world with an emphasis on physician-assistance in dying", Charles Sprung (Jerusalem), Barbara Friesenecker (Innsbruck), Thomas Frühwald (Vienna). Moderation: Michael Ganner (Innsbruck). 28 May 2019, 16:00 - 18:00 h, Lecture Hall 2 (Neuro), FKK 3-G0-115, Anichstr. 35, Innsbruck. We also organize two Workshops with Charles Sprung: Workshop I, Medical Ethics Education, 28 May 2019, 13:30 - 15::00 h and Workshop II, Ethical Decision Making in the ICU, 29 May 2019, 13:30 - 15:00 h. Both Workshops in Seminar Room 2, Medizinzentrum Anichstraße, MZA 1-U1-061, Anichstraße 35, Innsbruck, (the number of DFP credit points by the Austrian Medical Association will be listed here shortly). 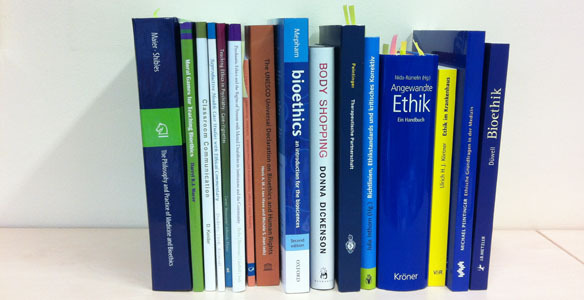 Selected publications regarding the events here.